Siskiyou is full of character, charm and a hint of ruggedness. We offer accommodations for every type of adventure. From fishing to hunting, golfing to beer drinking, Siskiyou is truly an outdoor enthusiast’s playground. Here are a few our favorite outdoorsman activities. Cast a line in one of Siskiyou’s lakes or rivers and you’ll likely get a fresh catch at any one of the area’s fishing spots. Kangaroo Lake is a great spot for fly fishing and bait casting. You’re sure to get a bite on the line here! At Lake Siskiyou, fishermen typically catch lake trout, brook trout, smallmouth bass, rainbow trout and brown trout. Head on over to Castle Lake for some of the best fly fishing around. Grab your bait, fishing pole and fishing license to reel in a fresh catch! Enjoy a round of golf at the beautiful Mount Shasta Resort this winter. Their 18-hole course sits on 126 acres, offering breathtaking views and a challenge to amateurs and professionals alike. The course also features natural alpine terrain, so you may see a variety of wildlife while you’re golfing! Siskiyou’s majestic terrain is home to a wide variety of huntable game. Make your way to the Shasta Valley Wildlife Area and you’ll find 4,700 acres of landscape where you can hunt waterfowl, quail and pheasants. At Klamath Basin National Wildlife Refuge Complex there is nearly 40,000 acres of open water and croplands where you can hunt deer, waterfowl or pheasants. At Butte Valley Wildlife Area, you’ll have 13,400 acres of wetlands, sage flats and farmlands to hunt waterfowl. Just remember, each region has specific hunting regulations, you can learn more here. Happy Hunting! Many of Siskiyou’s breweries have won awards for their beer. Mt. 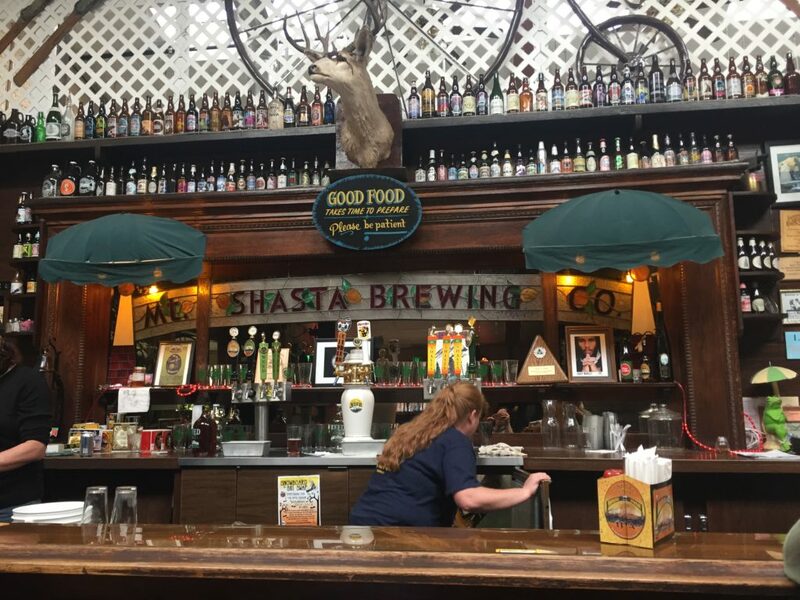 Shasta Brewing Co. is home to ales and lagers and is the go-to spot for microbrew enthusiasts. After a day full of activities, kick back and relax and enjoy some of the best local beer in California’s north. Pack your outdoor gear and explore Siskiyou this winter. Be sure to also check out our lodging and outdoor adventure specials here!